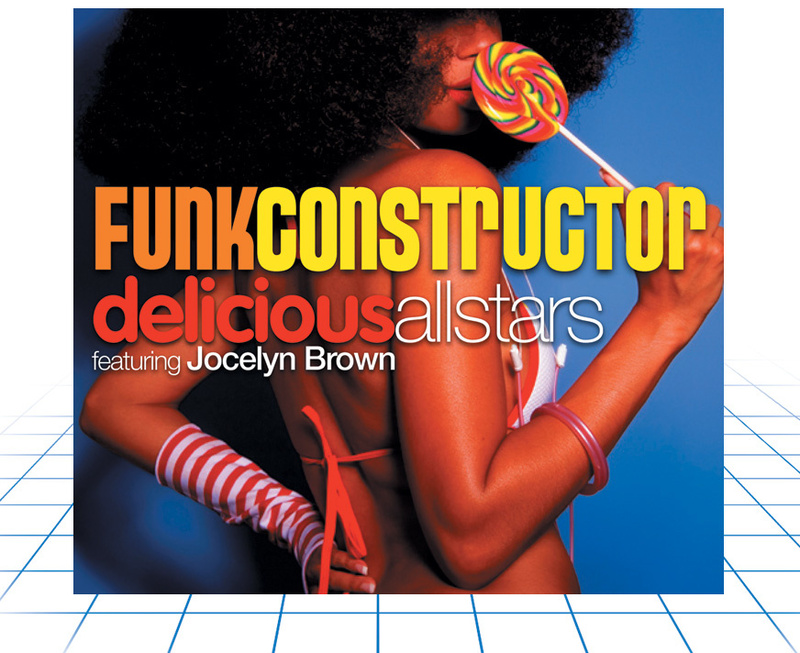 Loopmasters Delicious Allstars Funk Constructor might be a bit of a mouthful, but it's certainly a good descriptive title. This library features a combination of highly respected playing talent and modern, dance‑friendly funky material. Available in multiple formats (many of them individually via download), the core of the collection is provided by approximately 500MB of loops and a number of one‑shot samples. The latter include some excellent ad lib-type vocals, courtesy of Jocelyn Brown (whose impressive list of vocal credits includes providing the vocal hook for 'The Power' by Snap!). I auditioned the Apple Loop format using Acid Pro 7, and although the collection includes drum, bass, guitar, horn, keyboard, percussion, vocal and flute loops — and hence all the elements required to put together a complete backing track or three — it's not presented in a construction‑kit format. Instead, the loops are organised in folders by instrument, and then you're left to explore for yourself how they might be layered together in a musical fashion. This might not suit the lazy, or those with a rapidly looming deadline, but it does tend to force a little more creativity in using the library, which is probably no bad thing. Throughout, the quality of the recording and the performances are superb. For example, the 50‑plus drum loops are excellent: they're funky without being too fussy, and with suitably crisp snare and cymbal sounds. The 40‑plus bass‑guitar loops are equally impressive, with plenty of rhythmic playing and some nice percussive touches, without getting too overpowering and slap‑happy. There are about 90 percussion loops, consisting mainly of congas, shakers and tambourines, which are also well done and great for adding a little extra fairy‑dust to a rhythm part. However, the undoubted highlight, simply because the voice is so full of character, is the vocal samples. If you want a few classic James Brown‑style funk ad‑libs (but performed by Jocelyn rather than James! ), this is the place to come. The only down side is the quantity (there are just under 50 vocal 'hits', plus a few loops): I was left impressed, but wanting more. Time + Space +44(0)1837 55200. Big Fish Audio +1 800 717 3474.